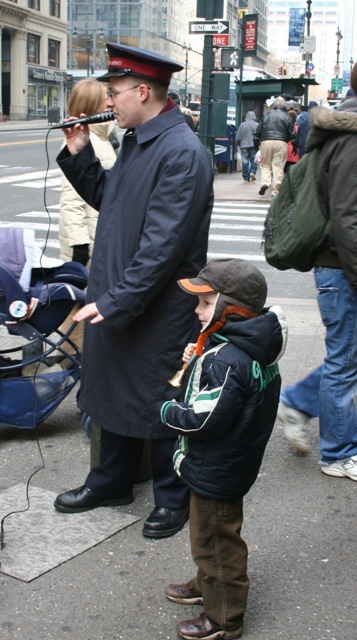 A blast from the past – back to when Son was 4 and I had one of “those” landmark birthdays – scarey thing is I am uncomfortably close to another one. Not party people, we seize every excuse to take a trip – this time was no exception. My December birthday had me consider several options but there was only ever really one winner – the Big Apple to experience a bit of Christmas magic. Having visited New York several times but always in summer or autumn, this was all about the most wonderful time of the year NYC style. We were not disappointed. 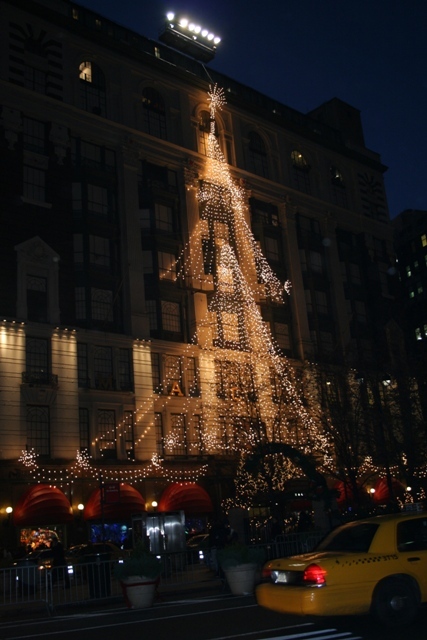 Christmas and the run-up to Christmas in New York was a full-on experience we marvelled at. Father Christmas seemed to be everywhere, we saw Rockettes in Santa costumes at Radio City Music Hall, plenty of chestnuts roasting merrily on open fires on street corners, beautiful decorations and twinkling lights everywhere and even bell-ringing Salvation Army soldiers ably assisted for a brief while by our enthusiastic Son. The icing on the cake was the snow – it snowed as we landed in JFK late one Saturday evening and through the rest of the night. When we awoke (far too early with a jet lagged carol singing 4 year old) and ventured out while it was still dark, we found a winter wonderland – snowy streets, silent and deserted we had the city all to ourselves. We trekked out several evenings (along with crowds of other people) to take a look at the department stores’ famous holiday windows. What a sight and so much fun we loved this Christmassy display. Macy’s and the Lord and Taylor windows were our favourites – not so easy to choose it must be said. 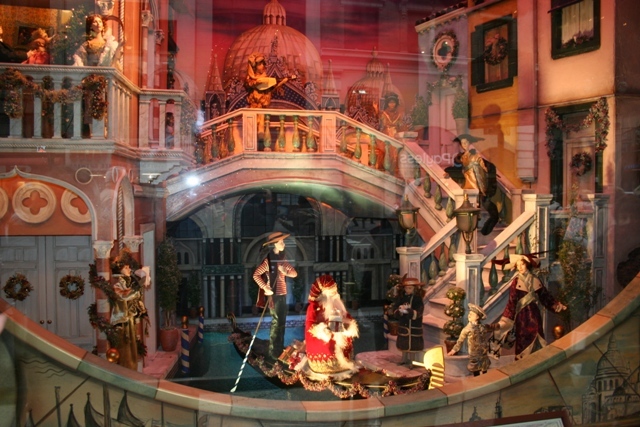 Son was enthralled – as were we – just walking from shop to shop and peeking in at the festive sights. 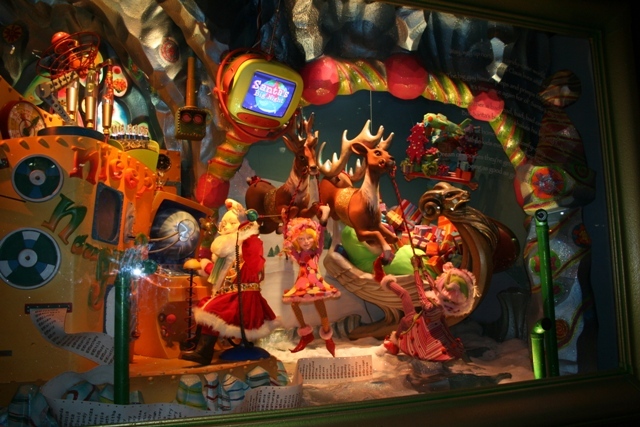 Of course a trip to Santa Land at Macy’s also had to be undertaken – another unforgettable experience. We walked through a whole series of Christmas scenes then met the man himself right at the end. Son was wide eyed with awe and couldn’t wipe the smile off his face. The perfect meeting with Santa just before Christmas to discuss “that” list. One bone achingly cold morning – wrap up well if you do this in winter – we took a walk across the Brooklyn Bridge. Despite Son’s protests about the cold and having to be carried part of the way back this was a walk with a wow. Just being on the iconic bridge peering down at the water below was an experience, but the view of the skyscrapers as you stroll back to Manhattan is simply magnificent. 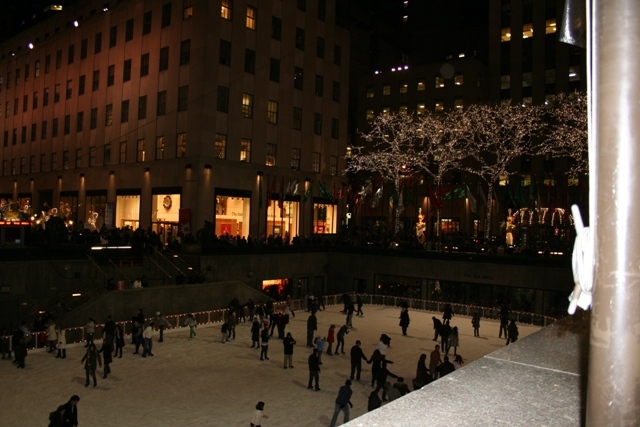 Needless to say we spent a fair bit of time around the Rockefeller Center – the Christmas tree, beautiful lights and atmosphere was magical and we loved the ice rink. Another day we zoomed up in an incredibly fast elevator to the Top of the Rock. Magnificent views over the city – but I did get a bit of the knee wobbles looking out of those glass windows and realising just how high up we were. All this was topped by a trip to the Christmas Spectacular at Radio City Music Hall. A stunning show full of festive treats, it was a feast for the eyes and we all loved it. Son sat captivated the whole way through the entire show – not normal for him at that time, proves it was something special. Son was obsessed with the Statue of Liberty on this trip so we had to take the ferry to Liberty Island. We stopped off at Ellis Island first though, this place with all its history never fails to impress and fascinate me. Liberty Island was freezing cold but Son was super excited to stand in front of the great lady and replicate her pose with a branch from a tree. Highlight of his New York trip. All that and then those views – admiring Manhattan’s movie star good looks from Liberty Island is something that never fails to move me. Snuggled under a warm, woolly blanket in a horse drawn carriage while the snow fell around us was an especially nice way to check out the sights of Central Park. Relaxing and fun before we ventured forth on foot for a ride on the carousel. Walking for miles around Manhattan – we walked and walked as much as we could through the city streets, I could never tire of this. One afternoon we walked from the tip of Battery Park to Times Square – a very long way, we had a cheap stroller for Son it would have been unmanageable otherwise at that time, but this is the absolute best way to experience the sights, sounds, smells and flavours of the varied neighbourhoods that make up Manhattan. Walking is always my transport of choice in NYC. We all fell head over heels in love with New York at Christmas – lit up and lovely this was the best birthday treat I could ever have wished for. It worked so well as a family destination too – something magical around every corner, so many fun things to do and the ultimate way to get headlong into the festive spirit. I couldn’t recommend it enough. wow – Amazing – just like watching the travel channel and experiencing the journey! Thank you – it was an amazing trip! Love this! 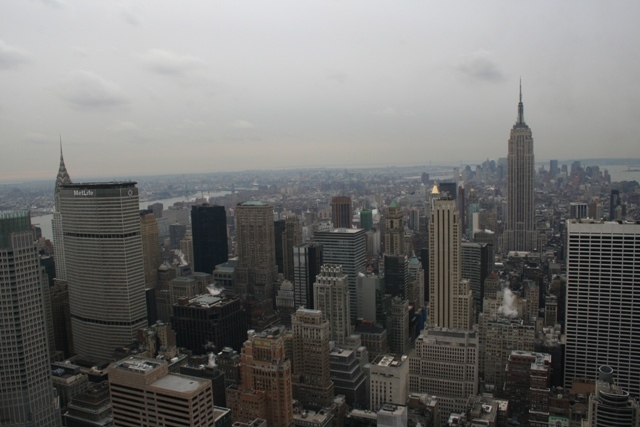 The pictures are gorgeous, it’s really making me want to see NYC at this time of year! I must admit, having looked forward to going at Christmastime so much I was nervous it wouldn’t live up to my (super high) expectations – it totally did. I can highly recommend!! It is particularly special at Christmas time – we loved it! Hope you get the chance to visit – I highly recommend! I can only imagine!!! I really hope I can make it there during Christmas time 😀 thank you!! It does look magical so I am not surprised you have such fond memories of that trip. 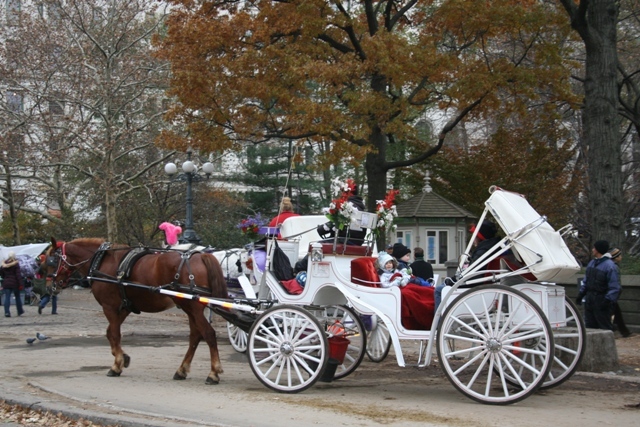 I am returning to NYC in March but would love to take the kids there at Christmas time. I have never been then either. Maybe next year that will be the plan, even for a day trip. We all have great memories of that trip – also the fact it was super cold – I love New York any time of year but Christmas was just extra special. Great post for the holiday season, Joy. 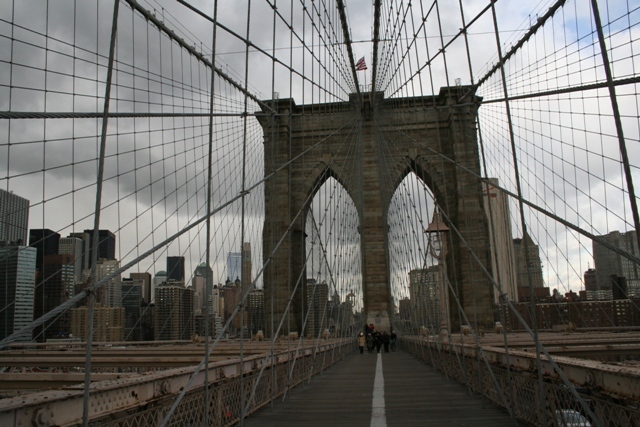 I love, love, love your photo of the Brooklyn Bridge. I haven’t been to NYC in winter since I live in the north and prefer to go south at this time of year but you’ve made it appeal to me. I totally understand going south in winter – we try and get to Florida every Oct/Nov for a bit of much needed sunshine to see us through the gloomy UK winters!! However although it was so cold and icy we just had the best time in New York, it was magical and I would go back in a heartbeat at Christmas. I had high expectations – I had been craving this trip for a long time and the city more than lived up to them all. We adored every second of that trip, having serious cravings to go back again in December! Happy birthday month to you! My husband’s birthday is coming up & we would always try to make it to NYC this time of year! 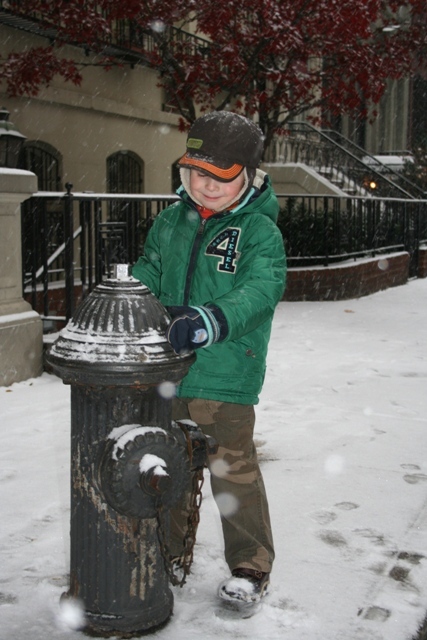 NYC really has a special glow this time of year – just beautiful and especially with some snow!! Completely agree! I loved New York at other times when I’d visited but there was something magical about the pre Christmas build up – the perfect place for a birthday! 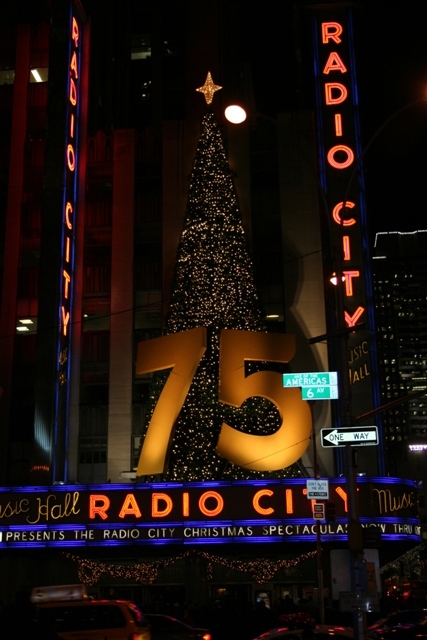 OMG, what an experience: NYC during Christmas time! Wow! I totally understand that you loved it! Also I like the idea of simply escaping! The older the kids grow the more I think about that too. It was fabulous – so much to see and do and a really special atmosphere, can highly recommend it! You definitely should!! The best place to celebrate a “special” birthday without a doubt!! It was fantastic – we got the snow and all the festive stuff! Loved it and would definitely recommend. White Christmas on Broadway – that sounds pretty special Pam! I would love to go back at this time of year again, we just loved everything about the city at Christmas, an experience like no other! The Christmas atmosphere was really special but I suppose you either love or hate this city. That’s the thing about it – no half measures. I love it, but I get what you say because I have friends who don’t agree with me!! I think it’s just that kind of place. We agree! As you know because we write about it so much, we LOVE NYC. Its a wonderful olace to visit with kids in any season. So glad to see you enjoyed it sobmuch. Looks like you really hit the highlights. 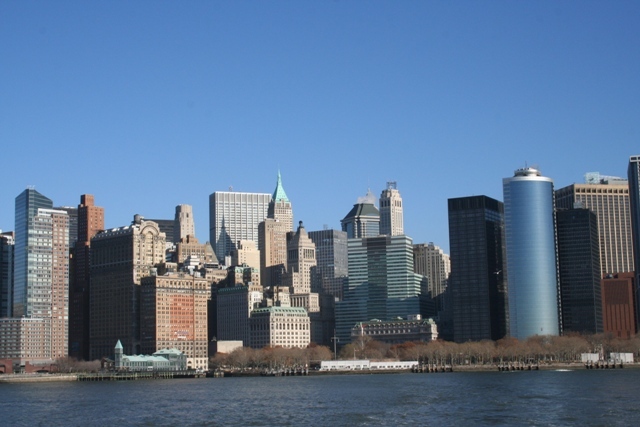 Absolutely – I love New York, an amazing city I can’t get enough of it. Having been there several times without kids, we just loved visiting with our son and would go back again tomorrow!! Never experienced Christmas in the sun Rosemary so totally get where you’re coming from. It is completely miserable here at the moment though, quite mild and really wet, nowhere near cold enough so sunshine would be preferable to this!! 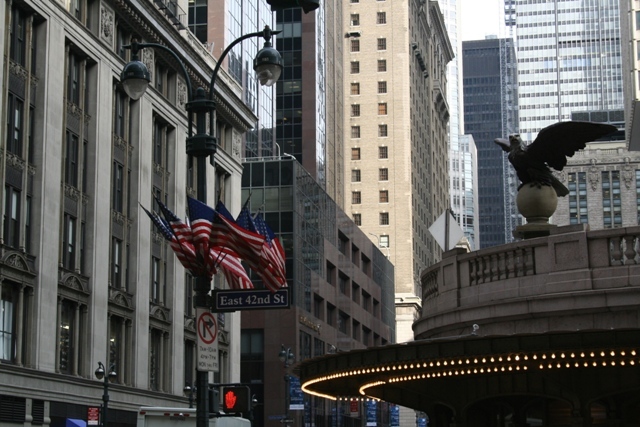 New York was amazing – anywhere with snow at Christmas does it for me. Hope you have a very happy Christmas too. I love NY at Christmas! How exciting to spend the holidays there with the family 🙂 Looks like a fantastic trip. Stay warm! It was amazing – I love New York at any time of year but this was just extra special and magical. Thank you Jenny! It is amazing at Christmas time there – kind of spoils you for everywhere else, that’s the trouble. We loved walking across the bridge – so cold but the views are superb! Good time had by all, Joy! 🙂 Very best wishes to you and the family for 2015. Definitely Jo!! All the best to you and your family for 2015 too – here’s hoping it’s healthy and happy with plenty of travelling thrown in! Gorgeous! It looks like NY is even more beautiful during Christmas. I’m sure it was an amazing trip! It was amazing Lucy – we’d been in autumn and during the summer before, this time of year felt very different and very magical. It was a perfect way to get into the Christmas mood!